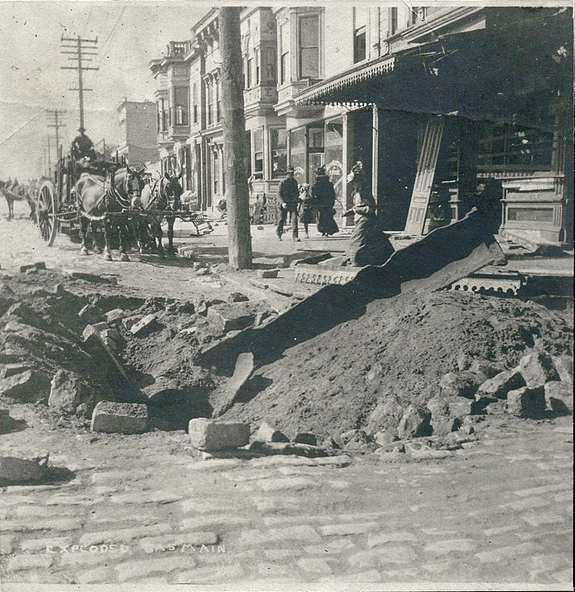 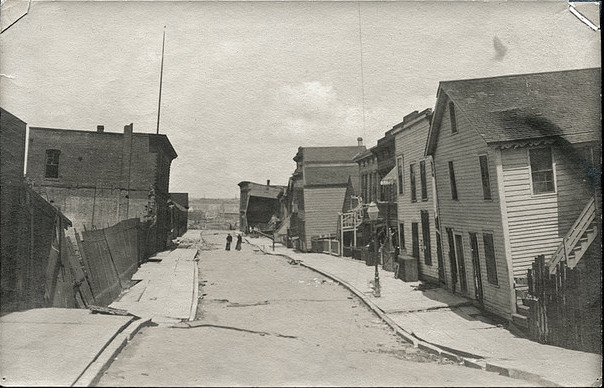 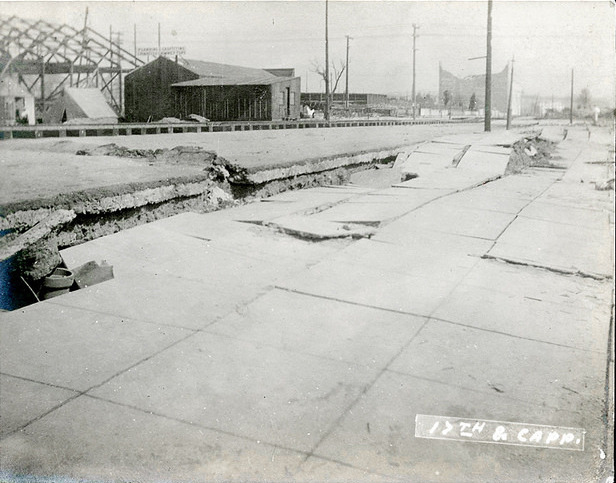 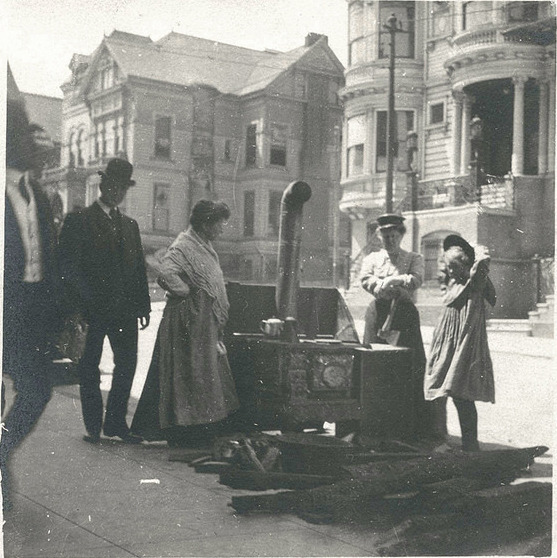 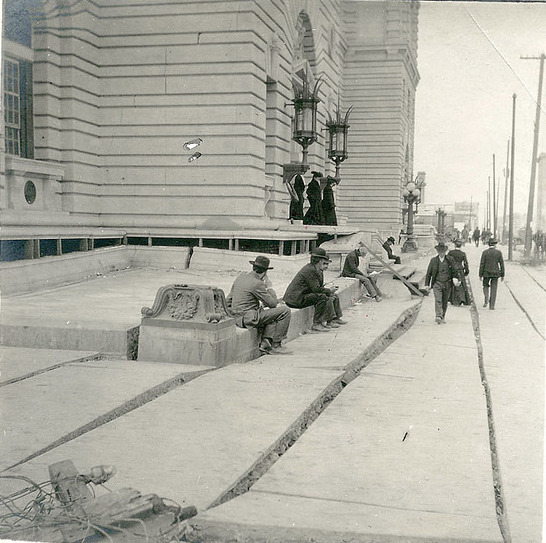 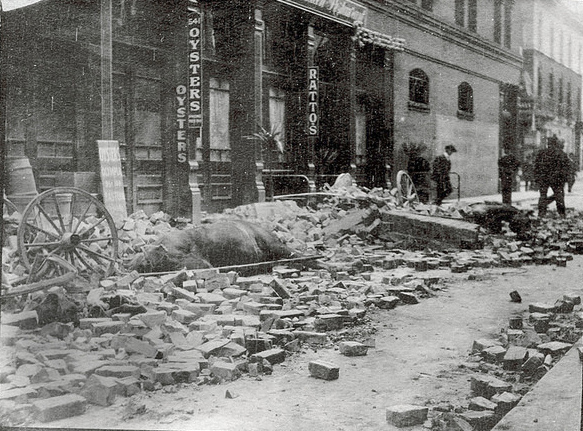 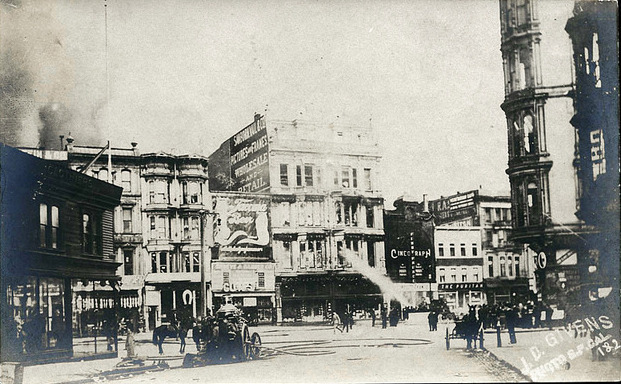 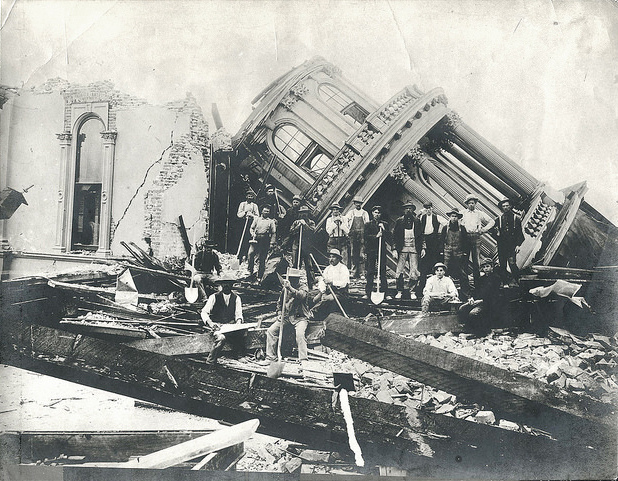 The 1906 San Francisco earthquake struck the coast of Northern California at 5:12 a.m. on April 18 with a moment magnitude of 7.8 and a maximum Mercalli intensity of XI (Extreme). 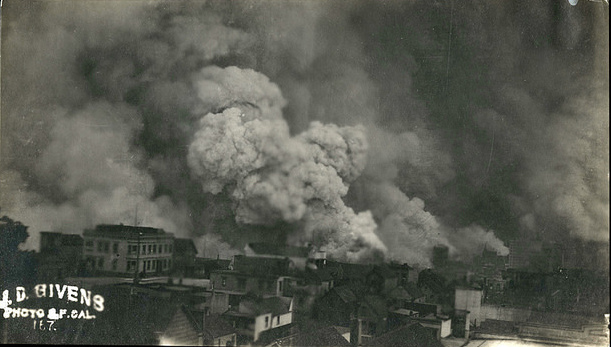 Devastating fires broke out in the city that lasted for several days. 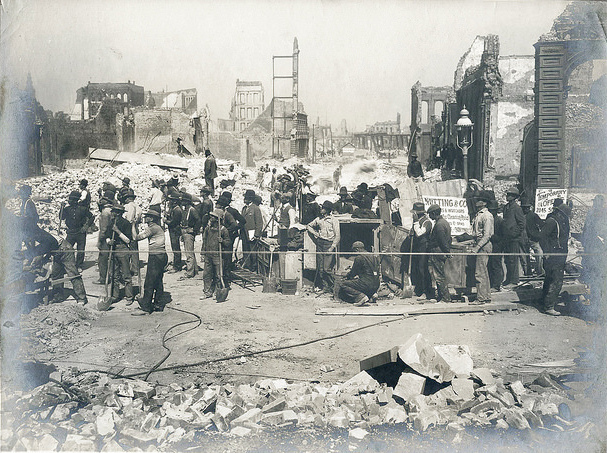 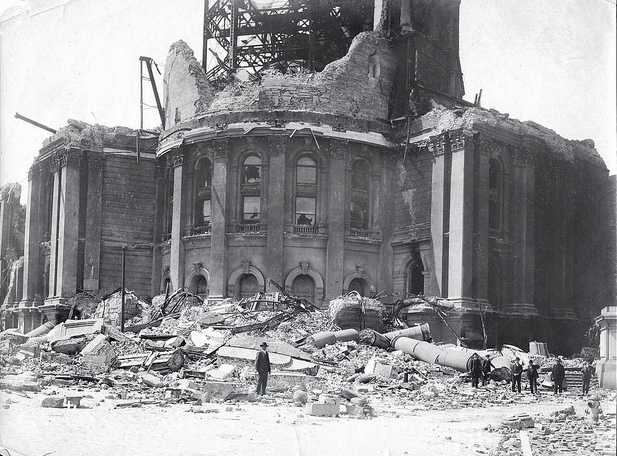 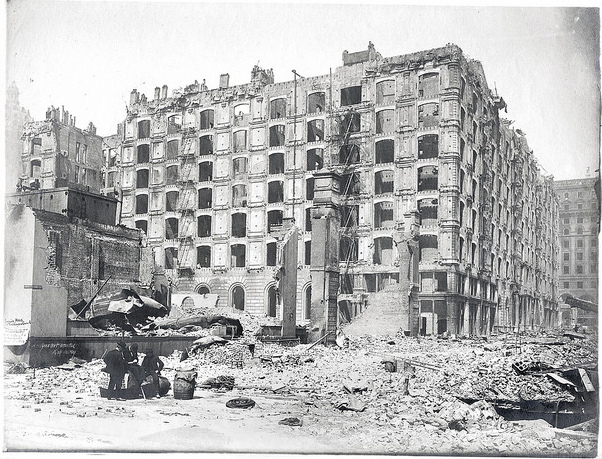 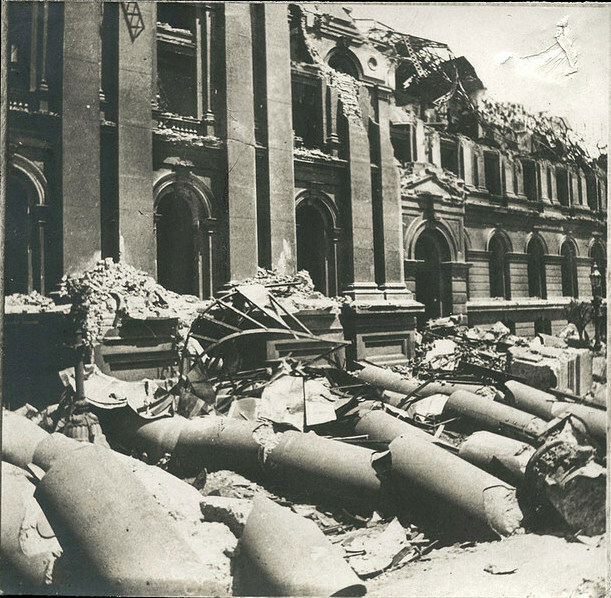 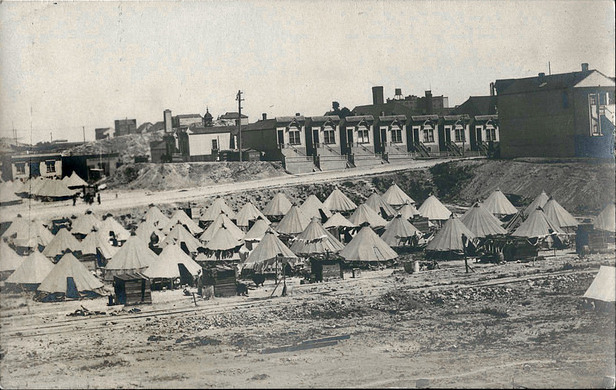 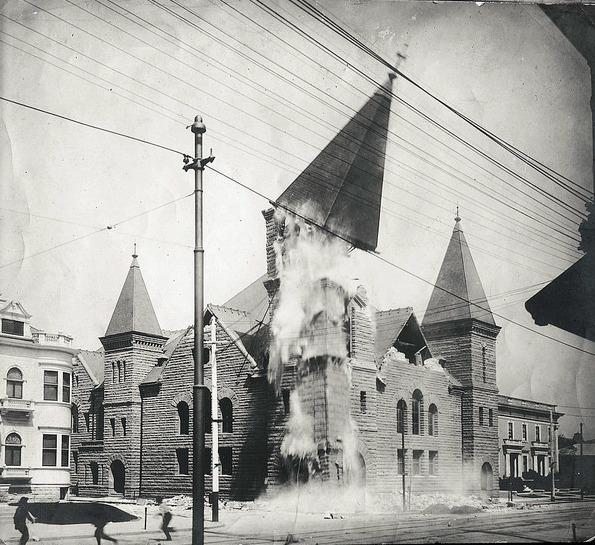 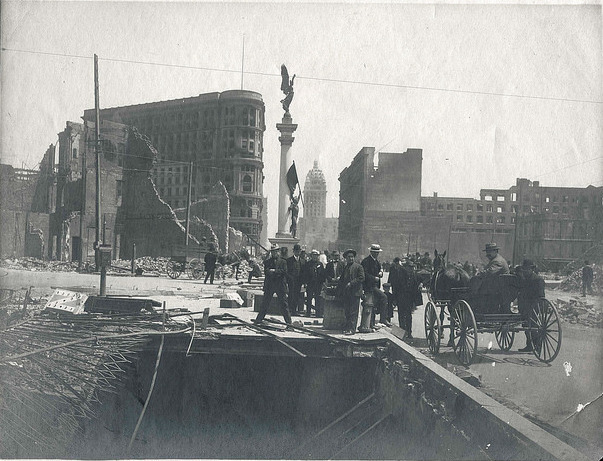 As a result, about 3,000 people died and over 80% of San Francisco was destroyed. 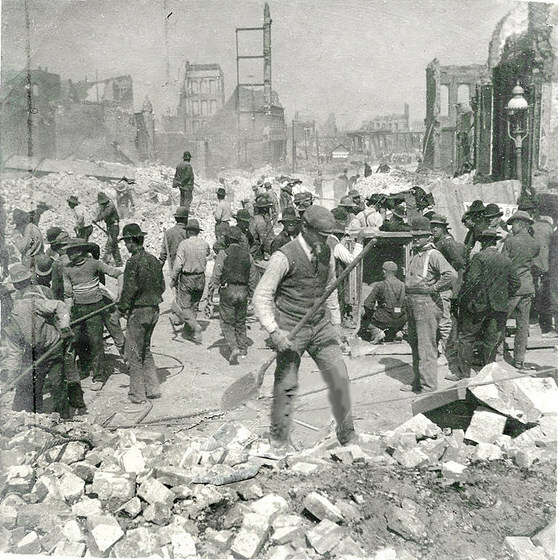 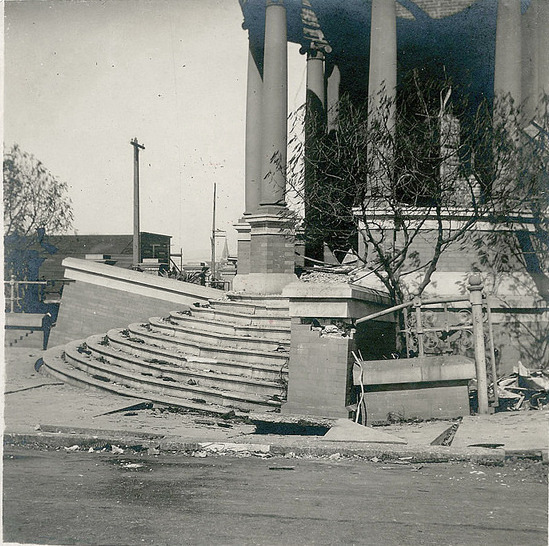 The earthquake and resulting fire are remembered as one of the worst natural disasters in the history of the United States. 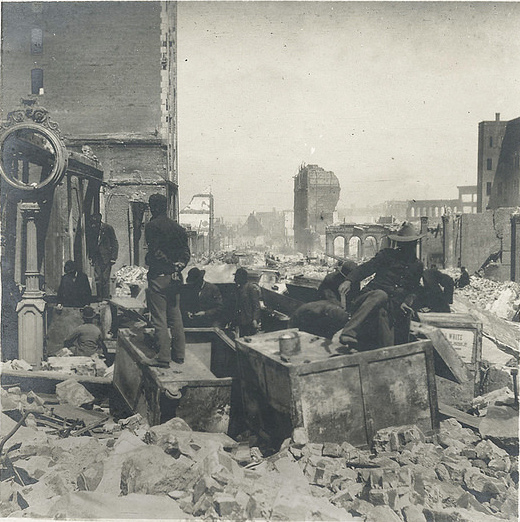 The death toll from the earthquake and resulting fire remains the greatest loss of life from a natural disaster in California's history.